I really appreciate it when people send emails and photos telling me how much they like Lulu/Lola - and more recently Zeki/Leo. It's always a thrill and I'm so touched that people take the time - I'm not sure they realise how much the positive feedback means. So, I've decided to put them here so I can share them. I also need to say here, that while people contact me, they are so often commenting on the fabulous artwork by both Ros Beardshaw and Ruth Hearson. 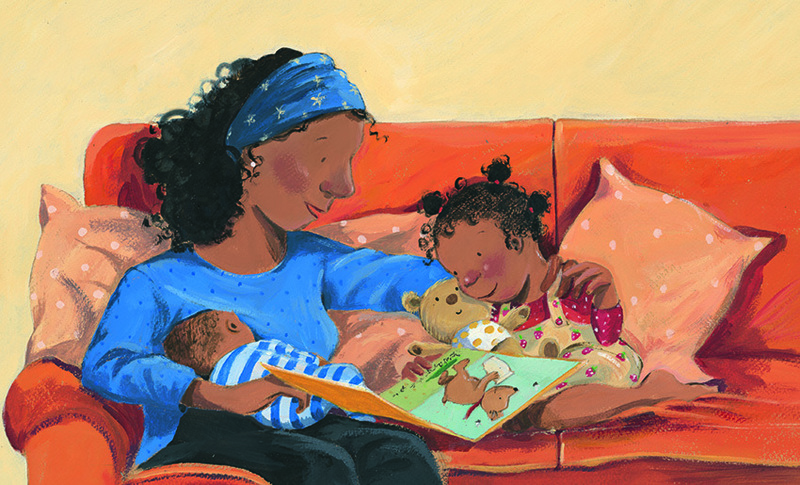 Often, people write to say how happy they are to see someone in a book who looks like them/their children and I have Ros and Ruth to thank for doing such a wonderful job on that. I feel so lucky and privileged to work with women who are as nice as they are talented - so this is an appreciation of them too. From Avril - lovely message from Avril yesterday on my facbook page. Made my day. And isn't her daughter absolutely gorgeous! 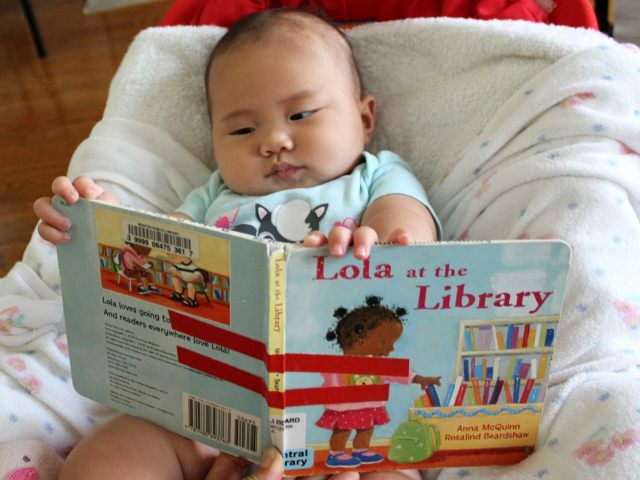 My 14 month old daughter LOVES when I read Lola at the Library to her. I found her on my bed this morning "reading" it to herself. Thank you so much for creating this lovely Lola character that my child can relate to. From Jane - this lovely note was forwarded to me by Charlesbridge (Lola's publisher in the USA) - Jane is a former employee. I hope that you're all well! I thought you'd like to know that I have spent a great deal of this week reading "Lola Plants a Garden" to Catherine, who turned three in February. On Monday we strolled into The Elephant's Trunk bookshop in Lexington, where I suggested that we look for a book about spring. Cathy found "Lola," and seeing that it was a Charlesbridge book, I bought it right away. She has wanted me to read it about ten times a day ever since. Ideally, one book is supposed to open a door to another, and so I've been so pleased that "Lola" accomplished something I wasn't able to do on my own. A cousin gave Cathy a beautiful Mother Goose anthology when she was born, but she showed absolutely no interest in it, even though I have tried to read it with her many times. 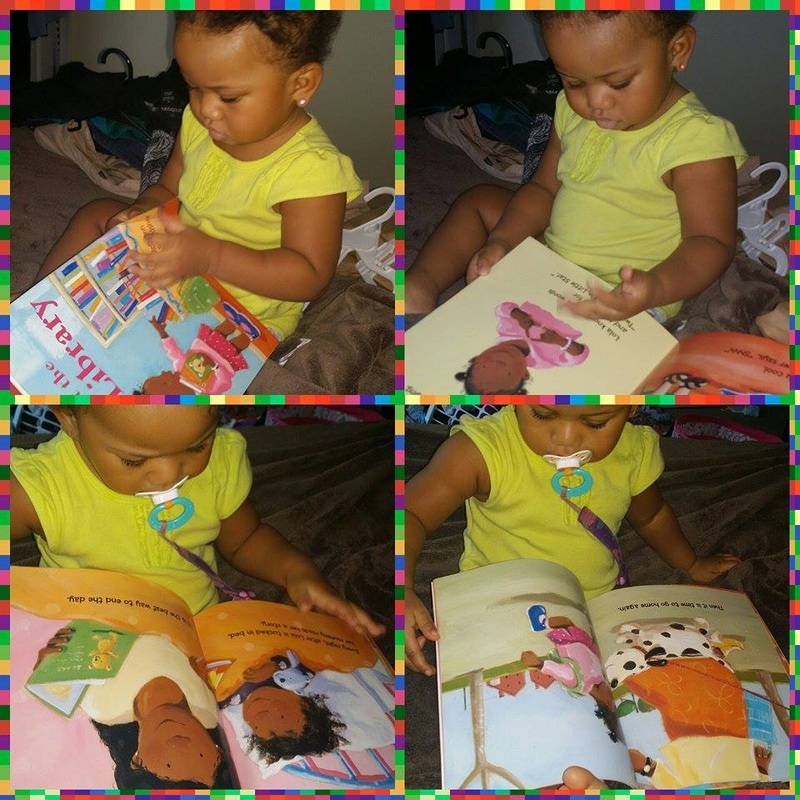 (She is very definite about her reading preferences, and cries when I try to force a book upon her). Finally, I persuaded her that if she let me read the "Mary Mary Quite Contrary" page in her Mother Goose book, the Lola book would make more sense. 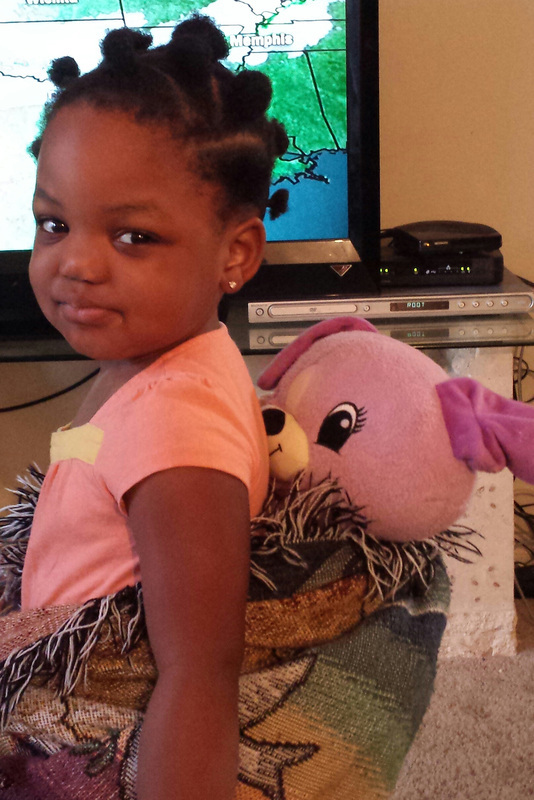 Now she has let me read a few other Mother Goose rhymes, and she has memorized "Mary Mary." (As I am typing, she is trying to pronounce the word "contrary" and saying "that's a funny word!"). I'm staying at home with Cathy until she goes to kindergarten, and while I miss the classroom sometimes, she is a delightful companion. She falls asleep "reading" in her rocking chair at night. She's my daughter all right! From Monika - whose little baby (at the time) daughter Lola was in my baby club when I was inspired to write ﻿Zeki Loves Baby Club﻿. It's Lola and Monika here from Australia. We received the book about Zeki from you, like you promised. You make us very very happy and proud. We are showing the book to everybody. My husband is completely crazy about this book. He didn't really believe in my story that we are really in the book :) When I show him book he couldn't believe his eyes, he know straight away that is Lola and me :)!!! We are very excited about your new book. We love it so much and now we are part of one it is so so amazing! By the way 30 from 40 all our boxes shipped to Australia was full of books! Your books are very important part of our collection. I wanted to thank you for writing the "Lola" books. 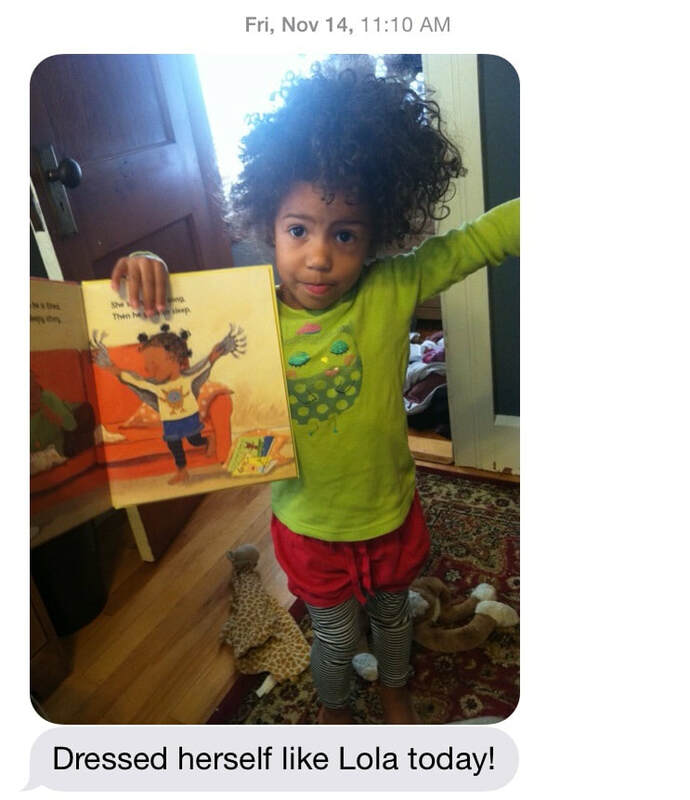 We are in the process of adopting our 3 1/2 year old African-American foster child, and she was so excited to receive Lola in the Library in the mail through a free book program that The Children's Trust offers. She was so happy to see a little girl with ponytails in her hair just like her! She pulls that book out over and over for us to read to her because she identifies so much with Lola. I am sure many other children feel the same way! Thanks again, and I hope you continue writing more of the series. Dear Ms. McQuinn - too often in life we don't reach out and show our appreciation for the things other do to enrich our lives. So I just wanted to say a very sincere thank you for writing the Lola series of books. Up to this afternoon I read Lola at the Library﻿ to my 2 year old daughter Zada for maybe the 268th time since I ordered it on Amazon and we both still love it! She actually asks for it by name now and I dare say it's her favourite book. Strangely enough, even though I live in the Caribbean, in a majority-black island there are very, very few children's books with black main characters. It was while hunting for books that reflected my daughter and myself that I came across Lola and I'm so happy that I ordered it - it was worth every penny and worth the wait in shipping time! 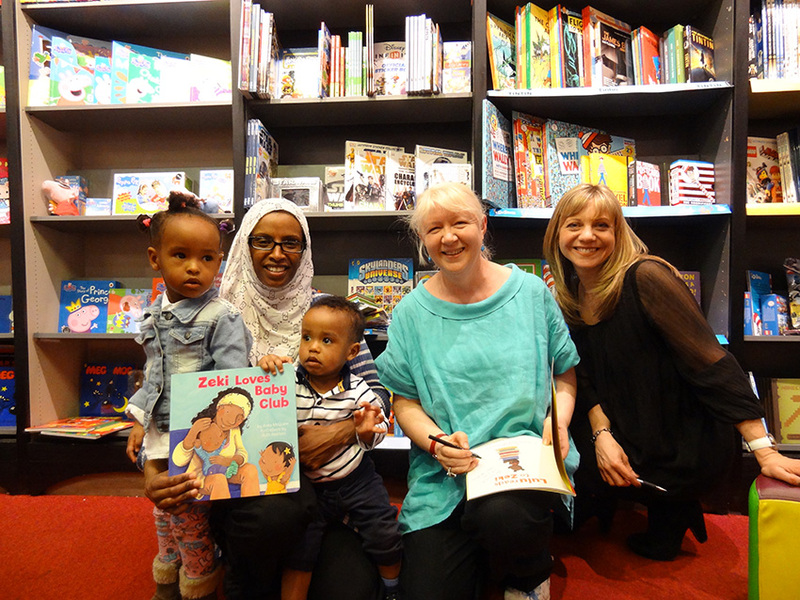 It is easy for me as a black woman to recognise that there is a lack of quality children's books that will affirm my daughter and place her as the star. However, it is really heartening to me that someone who is not black would see that too and seek to do something about it with such wonderful books. 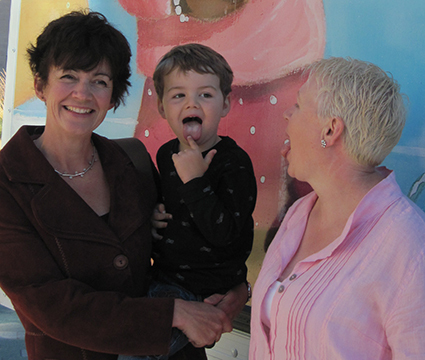 So thank you - you are a modern-day Ezra Jack Keats! p.s. 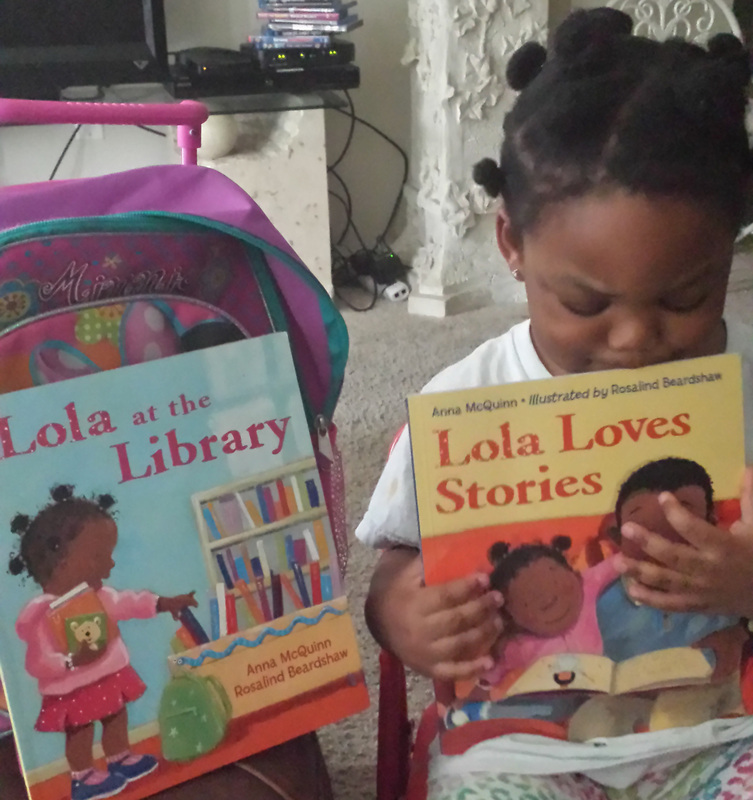 - my mum is a librarian and like Lola, I treasured our weekly library visits and have extended the tradition with my own daughter so the Lola series is extra-special to me! I cannot thank you enough for your Lola books! They have brought great joy to my three girls and myself. When my oldest who is eight, was a toddler I saw ﻿Lola at the Library﻿ at Target. I screamed, because Lola's hair style caught my eyes! I have never seen a book with a little girl with pom poms that looked like my daughter on a book cover! I bought a few copies and spread the word fast! You have brought so much joy to so many children. It is hard to find books with people of color with such beautiful illustrations! My five year old just did a book report on ﻿Lola Loves Stories﻿. 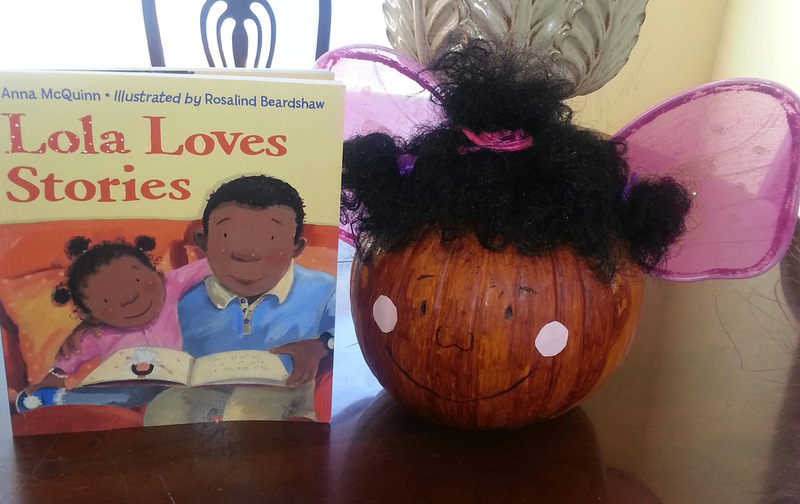 She had to decorate a pumpkin to look like the main character. I would love to send you a picture. Thank you ever so much for Lola and now Leo too. We can't wait to hear what his favorite stories will be. Of course you can put them on your website! You inspired Amanda's book report! We are so happy that you like the pumpkin!!! We had so much fun making her! We cannot thank you enough for Lola. 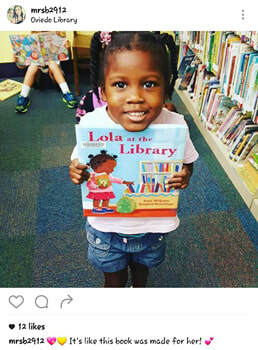 Lola inspires children to read books and to enjoy the library! So much magic in books!!!! Thanks again and we can't wait to read more Lola and Leo!!! Update: I wanted to share a picture of Amanda's kindergarten class mates, Pumpkins on parade! Today was Amanda's turn to read her pumpkin book report. She attends Hope Lutheran School in Glendora, California. THANK YOU for the "Lola" books. I just received Lola Reads to Leo from Amazon and read it to my son J last night. J is four years old and we live in ******, USA. It's not the most diverse place, and we are especially aware of that after moving here from Philadelphia, Pennsylvania. I am Jack's adoptive mother, and he is African American. My husband and I are Caucasian. 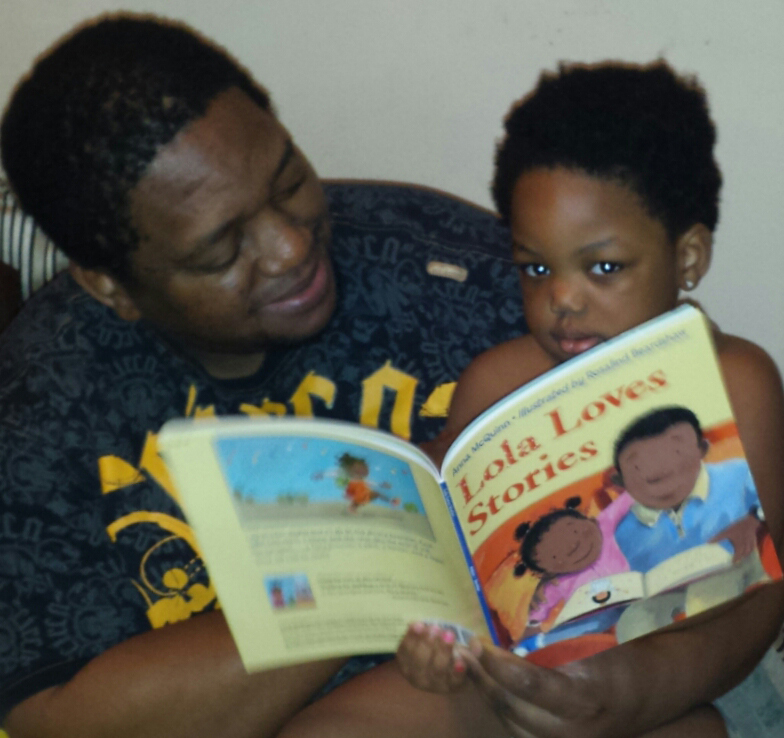 I love the Lola books because: (1) they tout reading, which J sees my husband and me doing all the time; (2) the illustrations are terrific; (3) they don't talk down to kids; and (4) the characters are Black but that's not the focus of the story. It's (4) that is so welcome. We have many different books for J, from the childhood classics to modern titles. We try to find books with Black or otherwise diverse characters and, to be sure, they exist, but most times, the book is about being Black, about Black history or about multi-culturalism and how people are a rainbow of skin colors. That's all important and I'm glad those books are there, but what I especially like about the Lola books is that Lola's skin color is not the point or focus. 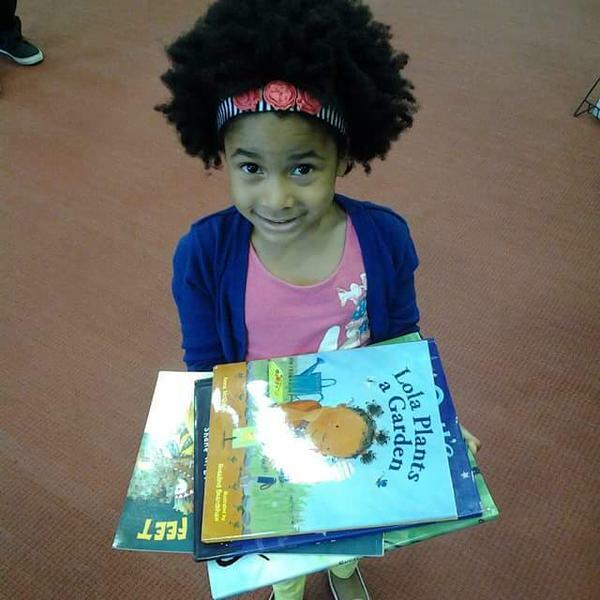 She's just a child who loves books and stories and whose parents read to her and oh yeah - she happens to have darker skin than many Americans.....just like J. Please keep these wonderful stories coming! This evening, I was reading all three Lola books to my girls (ages 6 and 3), and their new brother got hungry. As I was nursing baby (4 mos. 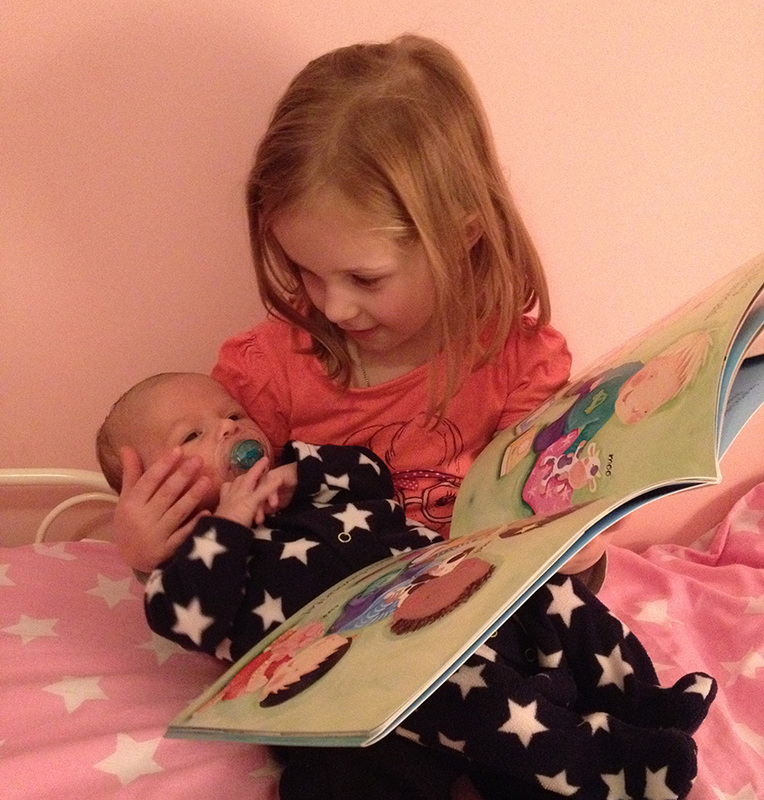 ), we reached the page in Lola Reads to Leo where Mommy is reading to Lola and nursing Leo. Both of my girls pointed out that the illustration in the book was a perfect match to the scene in their room - all the way down to Leo and our baby's matching blue striped jammies. They were so proud. 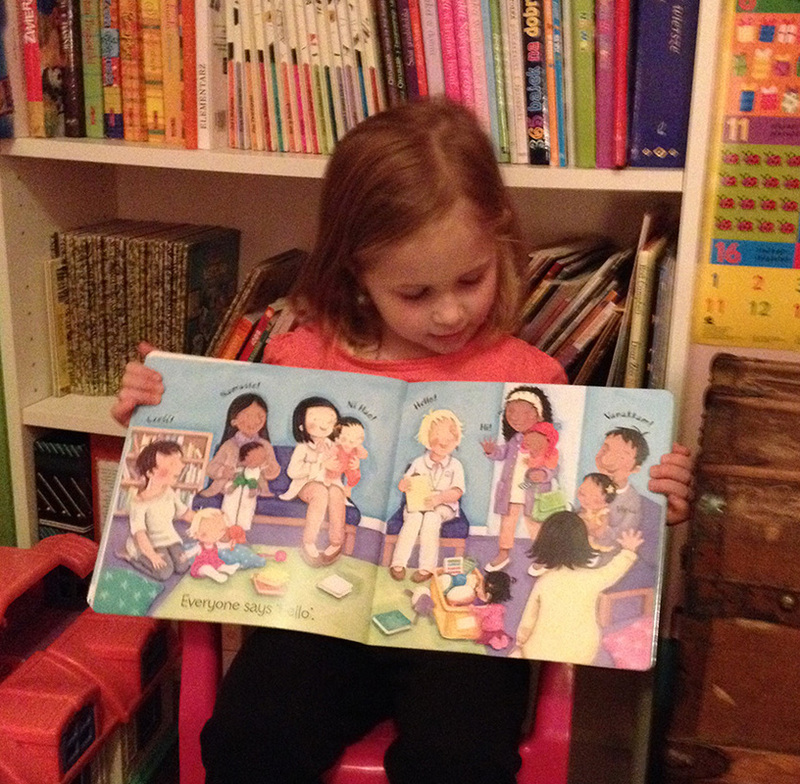 It's moments like these, when kids see themselves in beautiful stories, that melt my heart. Reading to my kids is always a joy, but every once in a while we share a moment that will stick with us forever. Thanks for providing that moment. 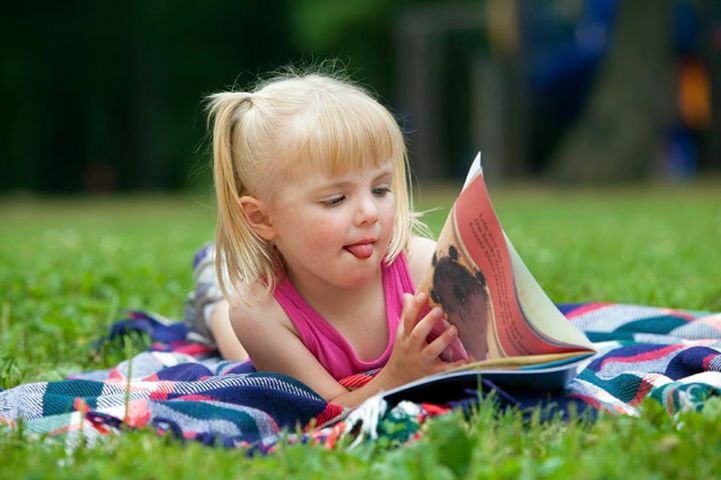 Just wanted to share with you how much we enjoy your books. When I saw your book ﻿﻿Lola Loves Stories﻿ in the bookstore, I saw my daughter and her father. The illustrator captured my family. Amazing!!! These two photos were not sent to me, I just saw them on the internet and thought they were gorgeous. I love just how worn out the board book edition of Lola at the Library is - what a great sign! This belongs on the shelf with the holy books. Lola is the cutest little girl in the whole world and loves the library more than anyone else and is the most conscientious, responsible, adorable library user ever. This book features characters of color without it being the focus of the story, this book celebrates the love of libraries and learning and books and stories and Tuesdays, and this book made me so happy I cried. It is often a challenge to find children's books with black characters that aren't overwhelmed with historical narratives or self-affirming gobbly-gook (be like Harriet Tubman! You're special! No really!) The little touches make this book unique and lovely: Lola's soft cloud of unraveled hair when she wakes up, the way she kneels on the floor during story time at the library, or how her mom spoons a little cappuccino foam in her mouth during their snack-time. I read this book to my daughter almost every day! --Bella tore books off the shelf and attempted to misfile them many times. --A disappearing act when I looked down for three seconds to scan one of the 15 books she choose (randomly I suspect). Right when I was about to scream for the cops, I caught sight of her furry pink jacket under a chair. --And finally, a class-B tantrum because she couldn't leap off a computer desk. This was the only book I chose for my daughter and it was a good choice. The illustrations are sweet, the storyline is short and to-the-point, and it is instructive for toddlers and preschoolers. I can see how this book is important in that Lola is a young preschooler who just happens to be black. No mention is made of her race. Bella (the center of the universe according to her) pointed to Lola and declared that she was "Bella". This pleased me, and I felt relief that I didn't have to dive into the complexities of race just yet.